You are here: Home / Recent Blog Posts / Why Are Younger Athletes Dropping Out of Sports? Why Are Younger Athletes Dropping Out of Sports? Recent studies have shown a 14% drop off in soccer participation between the ages of 6-12, says Benjamin Dudley, executive director, Positive Coaching Aliance (PCA), Portland. We also see these kinds of numbers in baseball, football, and basketball all around the country. And the dropouts are getting younger and younger. Until now, the statistic most cited has been that more than half of kids drop out by the time they are 13. What’s behind the dropout rates? Part of it is the cost of participating, says Dudley. Only 9 percent of kids whose parents make $20,000 or less participate in sports. This is likely because “pay to play” has become much more prevalent. Another issue, according to Mark Lawton, longtime coach and a volunteer PCA impact coach, is that we have removed sports’ creativity and play. Lawton and Dudley argue that we have over-structured sports so much that it dampens creativity, one of the most significant benefits our sports kids gain from sports activities. “You can teach kids how to trap the ball in soccer, but if you say, ‘Go play,’ they are making their own decisions, and their brains are wired to learn what works,” says Dudley. 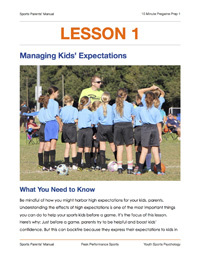 He has a team of 7-year-olds and encourages coaches to give players space and create an environment for kids to reach their best performance. He also encourages them to scrimmage more, as opposed to doing drills. Parents should say, “Here’s a ball,” and let the kids go out and play and kick and let them figure things out by playing instead of having them engage in overly-structured activities, says Dudley. 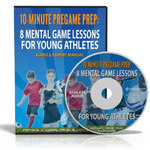 You want the sports kids to be making their own decisions and creating connections in the brain, which will help them learn and experience playing, not just mindlessly going through the motions of drills, he and Lawton argue. If your sports kids aren’t as enthusiastic about sports, be sure to make time for play. For coaches, that means fewer drills and more scrimmages, more time for trial-and-error. For parents, that means less focus on structured activities–and more on kicking a ball around with friends. Remember, at this point in a sports child’s life, it should all be about fun!